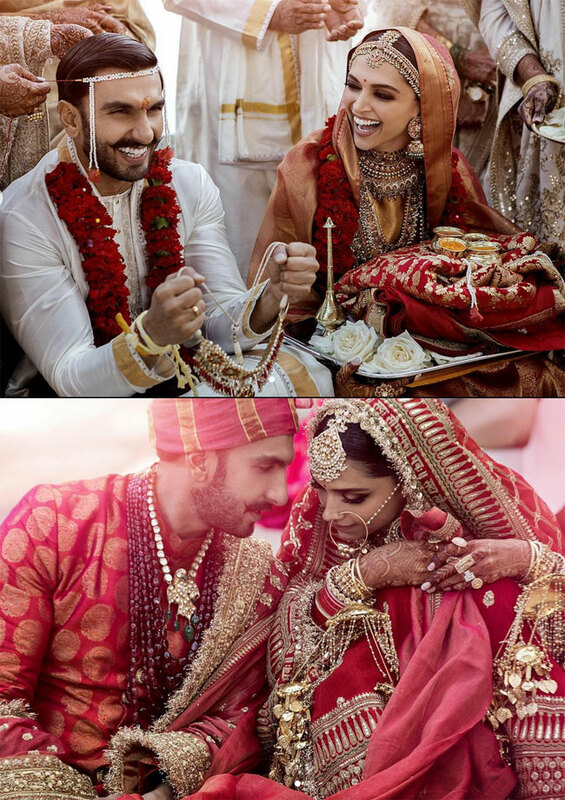 Double Wedding of love birds Deepika Padukone and Ranveer Singh drew the attention of people across the World. While the Konkani-style Wedding happened in Italy on Wednesday, The couple took part in the rituals as per Sindhi-style Today. Deepika & Ranveer appeared like they were made for each other in the wedding outfits designed by Sabyasachi. They both seem to be madly in love with each other. From Bollywood, Only Sanjay Leela Bhansali and Farah Khan are invited for destination wedding in Italy by Deep-Veer. Bollywood Film Fraternity conveyed best wishes to the lovely couple on this special occasion. A grand wedding reception will be hosted by Deepika and Ranveer at The Grand Hyatt in Mumbai on November 28th. Where Is The Creator Of Taxiwala? Will Bharat Be Another Bajrangi Bhaijaan?